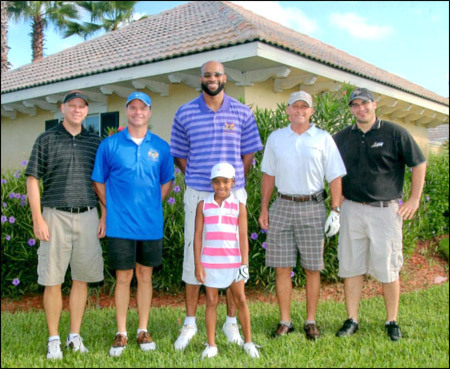 Rice & Rose Law partner Paul Rice, seen here second from right next to Vince Carter, played in Carter's Embassy of Hope fundraising golf tournament on Sunday, July 14, 2012 at the LPGA Legends Course in Daytona Beach, Florida. Embassy of Hope is a foundation created in 1988 by NBA star Vince Carter, a Daytona Beach native. The Foundation raises funds for needy children and families. Mr. Carter and his mother and step-father, Michelle Carter Scott and Edgar Scott, were on hand to greet all contestants, and he played in the tournament as well. A good time was had by all.